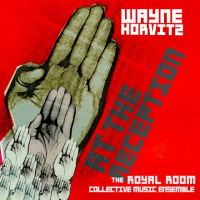 A veteran of the early eighties Downtown New York scene, keyboardist and composer Wayne Horvitz's relocation to the West Coast two decades ago has found him leading numerous projects, from large ensembles to solo performances. The Gravitas Quartet is one of his most recent forays, a chimerical union of neo-classical restraint, post-rock ambience and jazz improvisation. 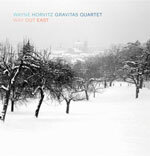 Following up their Songlines debut, Way Out East (2007) with One Dance Alone, the quartet moves closer to the chamber music austerity previously hinted at. A melancholy vibe permeates the session; leisurely alternating between stately variations and restless interplay, the rhythm section-less quartet paints a wintry tableau. Peggy Lee (cello), Sara Schoenbeck (bassoon) and Ron Miles (cornet) reveal their conversational acumen in magnanimous dialogues. A dynamic stylist, Lee veers from lithe arco glisses to splintery harmonics. Schoenbeck is a master of multiphonics, seamlessly blending stately baroque cadences into single note glissandos, which resolve in buzzing alien chords. Miles conjures muted nostalgia and edgy modernity, easily drifting between the two. The most noticeable change in sound is Horvitz's choice of instrumentation. Setting aside his trusty DX-7 synth and Hammond organ in favor of the grand piano, he runs from celebratory barrelhouse stomps and romantic musings to exotic prepared piano interludes and stark pointillism. 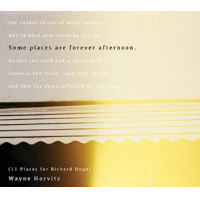 Horvitz's impressionistic themes are often somber but never maudlin. Three variations of "July" explore varying degrees of unsettled darkness, ranging from the doleful "July II" and "July III" to the thorny melodrama of "July I." "To Say Your Name" and "Good Shepherd" unfurl slowly and dramatically, while "A Walk In The Rain" offers optimism in the form of a bouncy folk blues delivered with a cinematic air. A cover of the late singer-songwriter Elliott Smith's "A Fond Farewell" offers an understated slice of instrumental pop magic that proves the quartet is as capable of expressing the subtle joys of a simple melody as it is navigating the intricate counterpoint and dramatic shifts in mood of the title track. 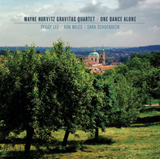 Like a rainy day punctuated by clear skies and brief rays of sunshine, One Dance Alone presents Horvitz's contemplative writing in a unique instrumental context. Track Listing: July II; A Walk In The Rain; July III; A Fond Farewell (for Nica); July I; To Say Your Name; Waltz From Woman of Tokyo; One Dance Alone; Good Shepherd; We Never Met; Undecided. 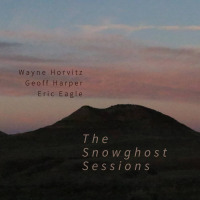 Personnel: Wayne Horvitz: piano; Peggy Lee: cello; Ron Miles: cornet; Sara Schoenbeck: bassoon.